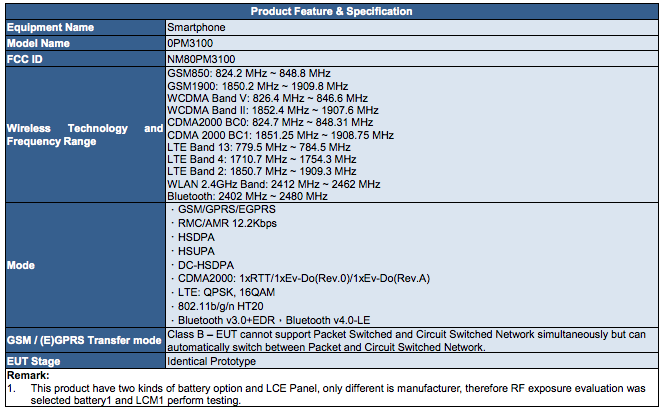 Mysterious HTC Device Hits The FCC - One M9 Plus Coming To US? For those who’re unwilling to get caught up in the smartphone war between Apple and Samsung, there are a lot of other decent Android offerings out there well. Manufacturers such as LG and HTC do not hold anything back when launching their flagship smartphones, as evidenced by this year’s LG G4 and HTC One M9 launch. And while the Snapdragon 810 might have caused a couple of problems for the One M9, its still a pretty decent device for anyone with modest requirements. But even though HTC designs great devices, here in the US consumers are able to get their hands on only a couple of them. This year’s One M9 Plus, One ME and a couple of other HTC launches were international only, leaving users out of the loop for a lot of launches. 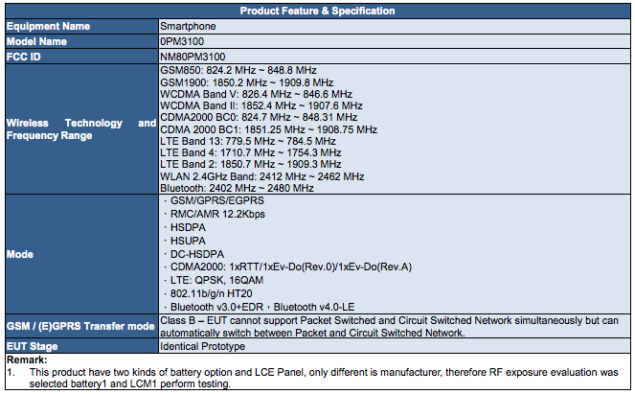 Judging by the specifications listed above, looks like one of HTC’s budget devices could be making it here to the US. After all, we’d expect any device calling itself a flagship to come with the proper Wi-Fi certifications. (FCC link) But its an interesting device nevertheless, with the HTC OPM3100 coming with two different batter and display panel options. Not only the device’s codename suggests that its destined for Verizon, but it also comes with a removable battery cover, so its highly unlikely that maybe the HTC One M9 Plus or any other top tier devices of the manufacturer has made it to the US. Looks like we’re all going to have to do with the HTC One M9. The One M9, launched by the manufacturer earlier this year comes with the Snapdragon 810 on board, which has caused the device several problems so far. In fact, after its launch, HTC was forced to develop an update that fixed such issues on the M9, which also ended up impacting the manufacturers image quite negatively. Stay tuned, we’ll keep you updated. And let us know what you think in the comments section below.